A current U.S. Navy Commander was charged in a complaint unsealed today with accepting luxury travel, elaborate dinners and services of prostitutes from foreign defense contractor Leonard Francis in exchange for classified and internal U.S. Navy information. Acting Assistant Attorney General Kenneth A. Blanco of the Justice Department’s Criminal Division, Acting U.S. Attorney Alana Robinson of the Southern District of California, Director Andrew L. Traver of the Naval Criminal Investigative Service (NCIS) and Director Dermot F. O’Reilly of the Defense Criminal Investigative Service (DCIS) made the announcement. 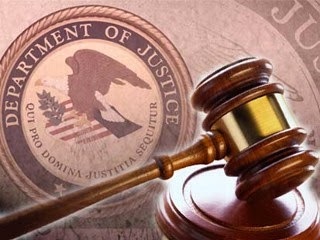 Mario Herrera, 48, of Helotes, Texas, was charged with one count of conspiracy to commit bribery in connection with interactions with Leonard Francis, the former CEO of Glenn Defense Marine Asia (GDMA), a defense contracting firm based in Singapore. Herrera was arrested in San Antonio, Texas, this morning and is scheduled to make his initial appearance in federal court in the Western District of Texas. The United States will seek removal of Herrera to San Diego to face charges. According to the complaint, Herrera participated in a bribery scheme with Francis in which he accepted luxury travel and entertainment expenses and the services of prostitutes in exchange for helping to steer lucrative U.S. Navy contracts to Francis and GDMA. Herrera provided Francis with internal, proprietary U.S. Navy information and intervened on GDMA’s behalf in contract disputes. According the complaint, Herrera directed ships to take alternative routes that benefitted GDMA on two separate occasions, costing the U.S. Navy $3.6 million. To date, a total of 17 individuals have been charged in connection with the scheme; of those, 13 have pleaded guilty, including: Admiral Robert Gilbeau, Captain Michael Brooks, Commander Bobby Pitts, Captain Daniel Dusek, Commander Michael Misiewicz, Lt. Commander Todd Malaki, Commander Jose Luis Sanchez, former NCIS Special Agent John Beliveau and U.S. Petty Officer First Class Daniel Layug. Brooks, Gilbeau and Sanchez await sentencing. In May 2016, Pitts was charged and his case is currently pending. On Jan. 21, 2016, Layug was sentenced to 27 months in prison and to pay a $15,000 fine. On Jan. 29, 2016, Malaki was sentenced to 40 months in prison and to pay $15,000 in restitution to the Navy and a $15,000 fine. On March 25, 2016, Dusek was sentenced to 46 months in prison and to pay $30,000 in restitution to the Navy and a $70,000 fine. On April 29, 2016, Misiewicz was sentenced to 78 months in prison and to pay $95,000 in restitution to the Navy and a $100,000 fine. On Oct. 14, 2016, Beliveau was sentenced to 12 years in prison and to pay $20 million in restitution. On Dec. 2, 2016, Simpkins was sentenced to 72 months in prison, to pay $450,000 in restitution, to forfeit $150,000 and pay a $50,000 fine. DCIS, NCIS and the Defense Contract Audit Agency are investigating the case. Assistant Chief Brian R. Young of the Criminal Division’s Fraud Section and Assistant U.S. Attorneys Mark W. Pletcher and Patrick Hovakimian of the Southern District of California are prosecuting the case.